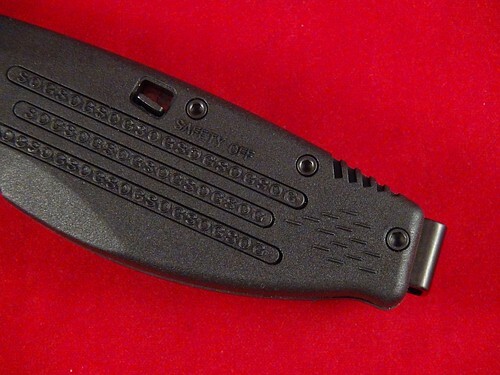 Gerber Answer 3.25 – SAO with attitude! With handles crafted from black anodized aluminium, textured inserts (read skateboard tape) for additional non-slip gripping and sporting an 84mm (3.3″) nitrided stainless steel blade , the very ergonomic Answer has a substantial mass at 153gr (4.9 oz). There are only two controls on the Answer, the first being a saftey/release slider which determines the available actions of the blade. From the closed position the slider can be switched front and back with nearly zero effort. When the red dot is exposed by shifting the slider towards the pivot point, it signifies that the knife safety is disabled (red dot meaning “armed”) and is GTG (“Good to go”) for opening. When not showing the “armed” dot, the blade is locked into position, irregardless if it is in a closed or open position. In the open position the slider forced into away from the blade pivot and must be actuated in order to release the blade for closing. The second control is the dual thumb studs on the blade itself for ambidextrous opening which is very simple to acomplish. Use the thumb stud to manouver the blade open to a point where the F.A.S.T. mechanism takes over and locks the blade into open position. Compared to the aforementioned Flash II, the Answer’s opening speed is not as fast, but feels much more solid as it locks into open position which may be a result of not using any obvious polymer/plastics in construction of the knife. 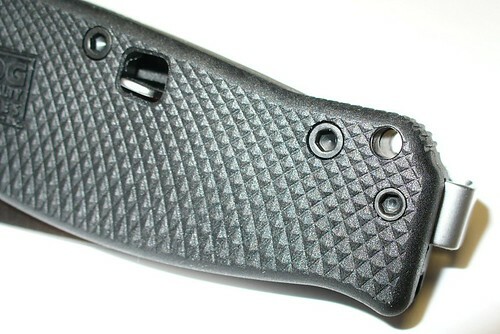 The pocket clip for the answer in NOT reversible and is located at the blade pivot, on the opposit side of the slide pivot. This means that when the Answer is clipped into your pocket, the blade pivot side sticks up (AKA Tip Down position). The EDC knife of TPF’s author sits in the same fashion, but some individuals may not desire that orientation. The Answer itself has few variations. The model reviewed has a drop point straight edged blade design, however, a sister model of the same blade length and mass is offered with a Tanto blade shape incorporating a partially serrated edge. Two other versions of the Answer also exist. The Answer SM is a smaller version of the model reviewed here with a 71mm (2.8″) blade and massing 81gr (2.6 oz). 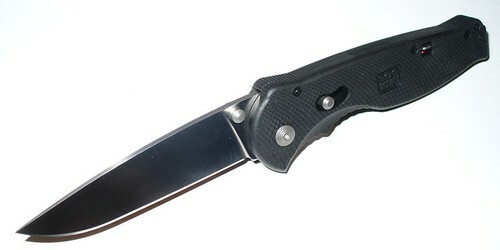 The Answer XL is the tanto version enlarged to a 102mm (4.0″) blade and massing a hefty 218gr (7.0 oz). The Gerber Answer 3.25 reviewed (model# 22-01971) has a MSRP of $72.99USD and is available at a great variety of knife stores across Canada. 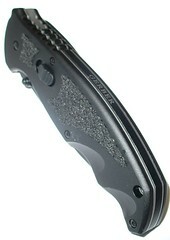 Like SOG, Gerber allows prospective customers to purchase many (if not all ) products direct from the Gerber website. The SM and XL versions list for MSRP’s of $63.99USD and $84.99USD respectively. 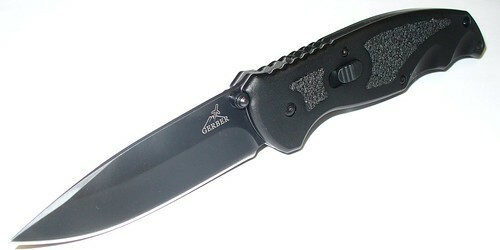 Gerber Legendary Blades: Answer 3.25 – Tactical, Practical, or Fantastical?